This was so cute I had to share it. 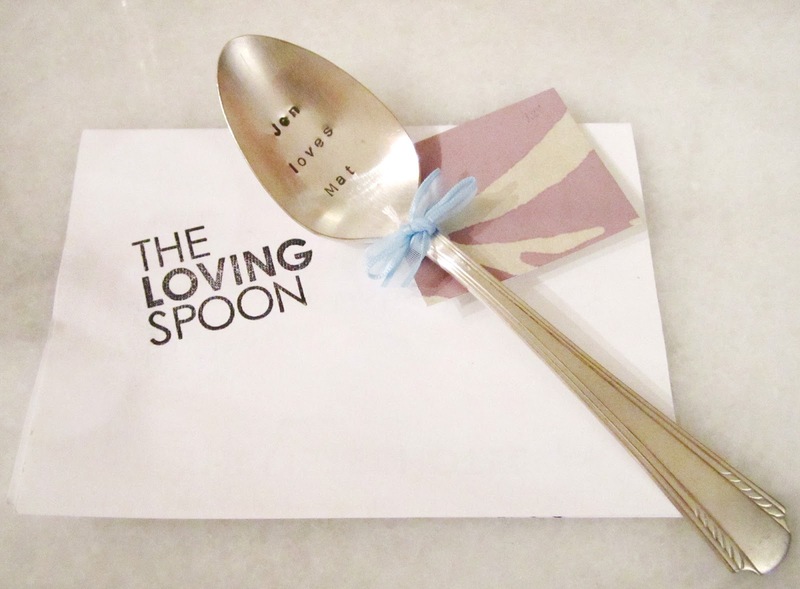 Some of the best gifts are the most personalized ones, and Jen surprised me last night with a cute gift - a loving spoon. This creative piece came from Loving Spoon out of Canada. 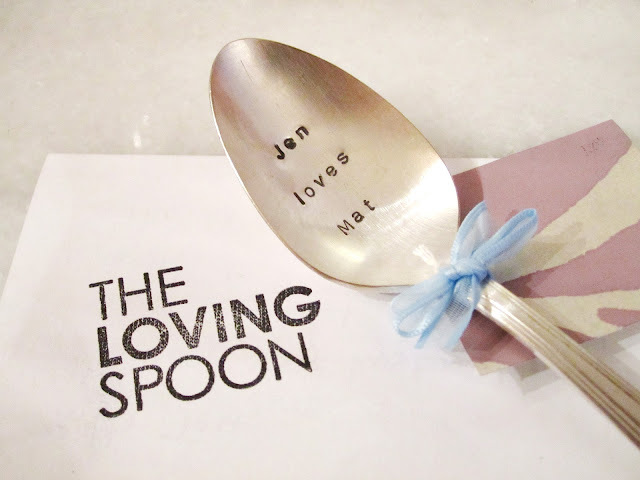 Here they engrave a personal note into the bowl (that's the rounded part). The roughness is part of the allure. This is a beautiful and lovely idea!! This is so cute! I ordered something similar from Etsy for my wedding. Personalized items are such great keepsakes!